Superheroes have always served as metaphors for the nuances of human behavior. The starkest dichotomies of these distinctions represent our hopes and fears of what humanity could potentially become through enhanced good or evil. Ironically, such artistic expressions are presently positioned to look like humanity's self-fulfilling prophesies, a result of modern exponential advancements in technology. 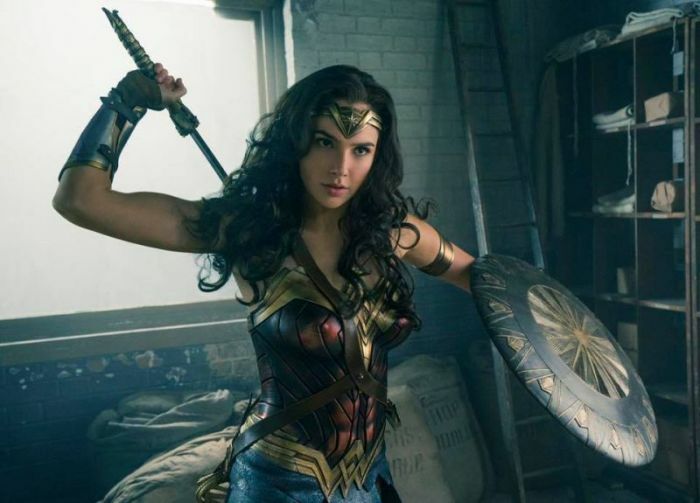 The most telling recent example of this trend comes through the acclaimed film Wonder Woman – a film that radically depicts the need for Christian Transhumanism. Rev. 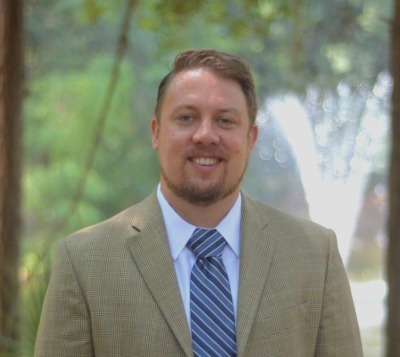 Christopher Benek is the associate pastor of Family Ministries and Mission at First Presbyterian Church in Ft. Lauderdale, FL. To be clear, Wonder Woman was not created to be a Christian film. Actually, Wonder Woman/Diana of Themyscria, princess of the Amazons, is depicted to have been brought to life by the Greek god Zeus. While the mythological intricacies of the film are not clear, the film still portrays clear underpinnings from Christianity and specifically from Christian Transhumanism. Let me explain. In a previous interview with global digital health strategist John Nosta for Psychology Today, I contended that all matter is God's technology and it is the human vocation, via the Christian tradition, for humanity to be good stewards of creation — i.e. all technology. Christianity teaches that God made humanity to be co-creators with God — like a child creates alongside a parent. So in this way, when people choose to live into this vocational calling to co-create and steward technology for genuinely good purposes, then they are actively participating in Christ's redemptive purposes in the world — whether they are cognizant of that fact or not. Conversely, when we choose to create technology for evil purposes, or fail to live into our vocation of stewardship, we actively rebel against God. This is an important concept to grasp because it frames the hermeneutic through which we can better understand the coming reality that the metaphors of superheroes artistically depict. Every superhero we envision lives in a different stage of technological development and this is representative, even if unintentionally, of the coming technological future for humanity. For example, Batman is a character that is most like our present human existence because he is not physically enhanced but instead uses advanced gadgetry and physical training to get the edge on his adversaries. Other characters, like Spiderman, become physically enhanced by exposure to matter (i.e. divine technology) that alters their current state of existence to have "superhuman" gifts. Heroes, like Wonder Woman, are created by other super-enhanced beings, like Zeus. Such individuals are so augmented that to present day persons they seem like gods. Some superheroes are so advanced that they are born with interstellar and cosmic powers like Superman or have even become inter-dimensional beings like Thor. While all of these characters are currently fictional, emerging technology offers the coming promise of being able to enhance ourselves physically in ways that we never thought possible. Currently, we already have the ability to enhance people cosmetically, with performance-enhancing drugs, organ replacements, and dietary supplements just to name a few. If you have less than perfect vision, LASIK eye surgery can enhance your eyesight to 20/15, better than perfect vision. With emerging technologies such as gene therapy, neural implants, brain-computer interface (See: Elon Musk Isn't The Only One Trying to Computerize your Brain), nanomedicine and enhancement, and 3D bio-printing, our super-human futures are closer than one might think. And with these developments, ethical issues emerge, issues that many of our fictional superheroes currently wrestle with in our comic books and on the big screen. Humanity is wrestling with these issues through artistic mediums because of the cultural debate about what our enhanced future will look like among a group of people who self-identify as transhumanists. A basic definition of transhumanism from the debatable pages of Wikipedia is that it is an "international and intellectual movement that aims to transform the human condition by developing and making widely available sophisticated technologies to greatly enhance intellect and physiology." Within the larger transhumanist movement, there are many philosophical categories of transhumanism. Back in 2015 Hank Pellissier, writing for the Institute for Ethics and Emerging Technologies, identified at least 10 types of transhumanism. Two years later, transhumanists are arguably even more diverse in their opinions. On the extreme end of the of the movement are self-professed transhumanists like California Gubernatorial Candidate Zoltan Istvan, who openly advocated discrimination against persons for their religious beliefs as part of his failed US presidential campaign. Other transhumanists, like those in the Christian Transhumanist Association (CTA), an organization that I co-created and for which I served as the Founding Chair, are concerned about honoring all people, as Jesus instructed, as emerging technology is developed. Understanding this transhumanist dichotomy of values thus brings us to the new Wonder Woman film and how it serves as a metaphor for the choices that we need to begin making right now. Wonder Woman is an enhanced being with superhuman, god-like powers compared to the other people she encounters. Accordingly, in the film, she is faced with a very real transhumanist dilemma. On one hand, she can become a supervillain by aiding in the destruction of less-able (or arguably, just different) humans in order to recreate the world as she and other god-like beings see fit. Or, conversely, she can embrace people however they may be — limitations and all — and honor them for their unique gifts, helping to nurture them for the purposes of good. Like Wonder Woman, this too is our ever-emerging reality. We have the choice to act virtuously or unjustly. We have the choice to be good stewards of the earth or to ravage it. We have the choice to love our neighbors — however different they may be — or to espouse hate. Emerging tech, and particularly our transhuman future, is only going to accentuate these choices that will eventually form us into either superheroes or supervillians. Wonder Woman is a beautiful piece of art because it brings this stark dichotomy of human choice to light. The film's most stunning characteristic is that it forces us to confront the reality that we have the option to act wonderfully right now as we engage the exponentially advancing technological world around us. The film provides an apt metaphor in that it forces us to confront the fact that every day, every hour, every moment, we can choose to be superheroes ourselves. May humanity choose wisely. Our future depends on it. The Rev. Dr. Christopher Benek is internationally recognized as an expert regarding emerging technology and theology. He is a Presbyterian pastor in South Florida and is notably the founding chair of the Christian Transhumanist Association. Learn more at christopherbenek.com. The Next Big Science vs. Church Battle: Can Transhumanism and Christianity Co-Exist?